I discovered screen printing through a digital imaging class and I have had a passion for it ever since. 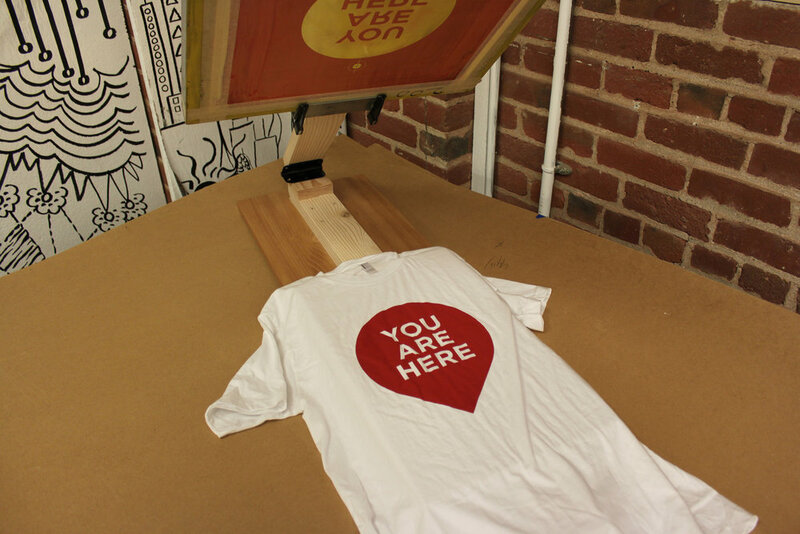 I designed and built this simple screen printing press to print custom shirts and posters for "The Loft", the Design Impact Program's dedicated studio space. The frame was made from bent and welded steel and the arm assembly is made from steel sheet metal. The proof of concept prototype was made of 2x4s, a door hinge, an angle iron, and some clamps. The prototype was surprisingly effective and I quickly moved on to manufacturing the final screen printing press. The frame of the screen printing press was made from welded steel tubing. Bending square tubing turned out to be a challenge and I had to experiment with a series of custom tube bending dies. Each of the six elbow pieces were then welded together and the seams filed down before the frame was powder coated. The arm assembly was manufactured from sheet metal cut to size on a sheer, bent using a break, and spot welded together.